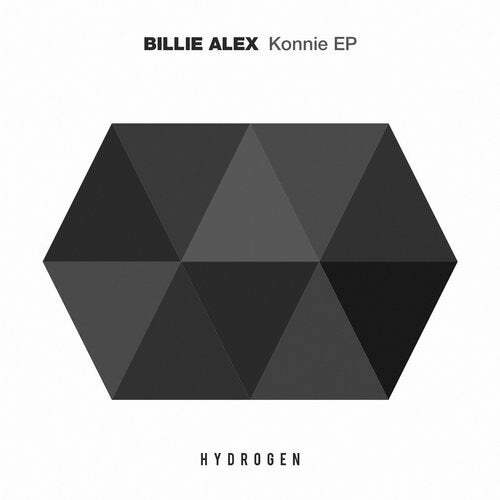 We are delighted to welcome Greek Billy Alex to Hydrogen with his brand new EP 'Konnie'. The title track 'Konnie' is a grooving progressive house roller fusing gentle piano chord stabs with subtle string ensembles clinical percussion and a beautiful dreamy lead line, perfect for the sun kissed autumn evenings. The second track 'Aviator' is a club inspired piece of tech house, fusing bass guitars, off beat percussive hits, an ethereal infectiously catchy lead hook and Billy's trademark string manipulation is once again prevalent as all manner of elements drift in and out of earshot. 'Streak', is this bouncy basslined winner, really hits it one from the off, as it musically slams it home. Adding a few warm tinkling sounds, a squelchy edge and some nicely effected spoken sounding pieces, and we basically have the formula for a bit of a monster. Like something from yesteryear, yet sounding fresh - this will do nicely thank you very much. Billy Alex has developed a unique style which endeared him to us; having establishing his credentials as a master of his craft, the Konnie EP once again showcases Billy's talents in taking them a step further with his tech influenced productions, which intersperse with roomy glowing love and filtered stabs, that beautifully lead into a dreamlike vibe to round off this brilliant underground 3 track crowd pleaser.